President Trump held a joint press conference in the East Room with Poland’s leader, President Andrzej Duda, on Tuesday afternoon. The meeting comes as Poland’s government experiences turmoil and controversy over their precarious position in the European Union. The judicial reforms give the party in power more control over the Supreme Court and the judges who hold those imperative positions. Many former communist judges have already been removed and replaced from their positions, resulting in some backed up cases. The reforms also include the introduction of a retirement age of 65 for judges, as well as giving the Justice Minister the right to dismiss judges. The government has reshaped Poland’s Constitutional Tribunal, replacing relics of the old Polish elites with fresh judges. President Trump visited Warsaw, Poland last year, where he focused on both countries’ shared commitment “to defending our heritage and our civilization.” Expectations were high, as many in the political establishment hoped that the President would continue the Obama administration’s approach of condemning the Polish government’s domestic reforms. As US-Polish diplomatic ties reach nearly one hundred years of bilateral relations, President Trump declared that ties “have never been stronger” as both countries renew their strategic partnership. During the briefing, Trump praised Polish involvement in the coalition to defeat ISIS, its support of strong borders, and its commitment to energy diversity across Europe. He also commended Poland’s defense spending and burden sharing in NATO. 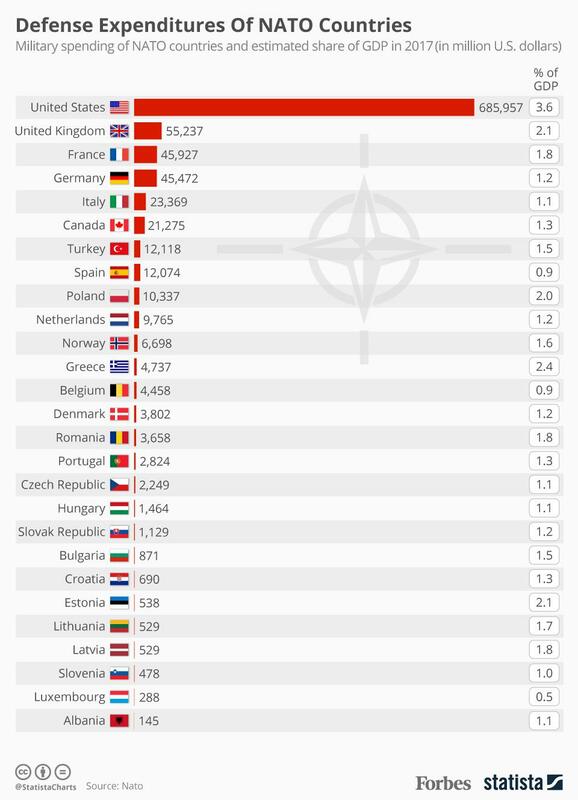 According to Forbes, Poland currently ranks as 9th in defense expenditures among NATO members. President Duda did not discuss his country’s judicial reforms, but rather expressed his strong interest in inviting American businesses to Poland and the need for more American troops to be posted throughout Poland. Duda specifically asked the United States to establish a permanent military base, to be named “Fort Trump”, for a whopping $2 billion, an idea that led Trump to nod in agreement. Although Poland continues to have a strong focus on its defense system and economic ties with the U.S., the country’s relationship with the European Union remains in flux. Since Poland is the biggest net beneficiary of the EU’s budget, the country must balance the importance of preserving its national sovereignty against avoiding economic repercussions from the EU.